Made from tough, durable, UV resistant plastic to last for up to 10 years, and totally frost proof. Frequently used by professional growers, which shows just how good they are! Strong grab handles. Quick and easy to move. Pre formed drainage holes to ensure plants will never become waterlogged. Perfect for growing fruit trees and shrubs. 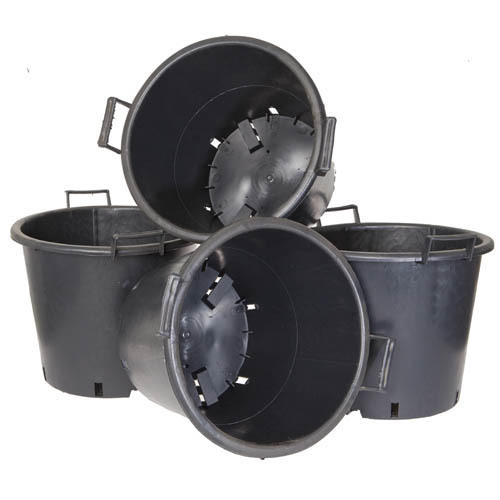 Supplied as 4 Heavy Duty Pots. 30 litre capacity. 2 grab handles and 6 drainage slots per pot. Diameter approx 40cm. Height approx 37cm including handles.